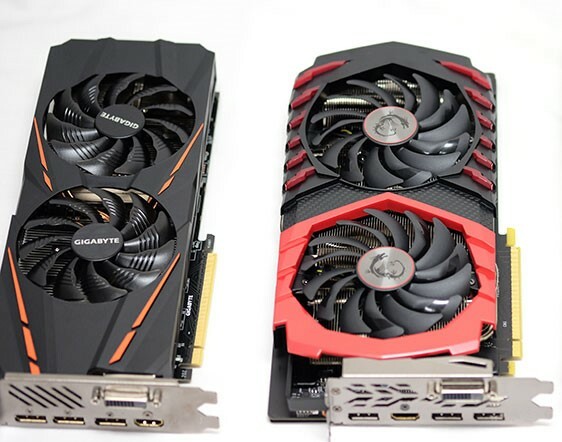 The graphics card demand drop is certainly a serious profitability issue for the Taiwanese suppliers, but this also means that gamers can now get the graphics cards they need for prices close to the original MSRP. Crypto miners are waiting to see if Bitmain's Ethereum ASICs are indeed worth it over GPU cards, however, if the upcoming GTX 11xx and AMD Navi cards would prove even better, we might see the price inflation scenario all over again. March already brought GPU price cuts of around 25% for both AMD and Nvidia cards, and it seems like April will see an even more pronounced price drop. According to DigiTimes, the price fall will be determined by a 40% lower demand for add-in-board integrators like Gigabyte, MSI and TUL. This is also corroborated with the lower cryptominer demand, but the prices for the main crypto assets are on the rebound as of late, so this could completely change the market dynamic in May. DigitTimes informs that SEA channel distributors and mining operators began to heavily cut orders for cards and motherboards in early April. Mining operators are also waiting for Bitmain to launch the Ethereum ASICs in May. Miners may be on the fence, but the lower demand is actually good news for gamers everywhere as the prices continue to fall towards the intended MSRP. Prices increased dramatically in the summer of 2017, but now, with the lower demand, the upcoming Ethereum ASICs and the new GTX 11xx GPU generation, gamers will finally be able to find and afford the cards they want. Gigabyte, MSI and TUL have seen record profits for 2017, but it seems that 2018 will not be that profitable anymore. It is still too early to tell how things will turn out after the Ethereum ASIC launch, plus the miners might immediately jump on the new GTX 11xx cards this summer, so the Taiwanese integrators could maybe shift their focus on the new generation once it gets released.